There is however no doubt that the Korean manufacturer's products will sell better than the Taiwanese manufacturer: the key is no longer the only sheet, but the ecosystem of software and services that revolve around. "Quietly brilliant." 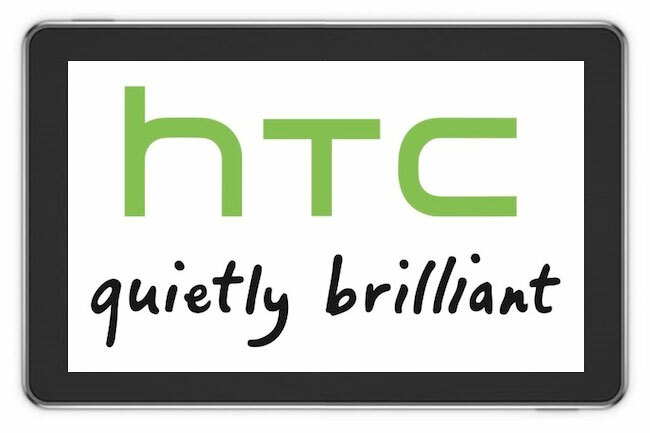 Ironically, the slogan of HTC, supposed to base its brand image, simply describes his uncomfortable situation. Brilliant that the Taiwanese manufacturer is no doubt, but he remained in the shadow of its customers: it is a pioneer of the PDA ... Palm, Smartphone ... and mobile operators such as Orange. It was launched under its own brand until recently, certainly with some of the most successful industry in recent years, but failed to make a lasting landscape. One range, presented during the MWC, and particularly ingenious - it is a perfect example of the expertise of HTC, which certainly has nothing to envy Apple on this ground. Innovation is primarily physical, with cameras dual electronic shutter that can actually take pictures in burst or take a picture while filming. Its later software, with an interface that allows just taking pictures while shooting, or quickly starting a recording without changing modes. But these good ideas, certainly not hear much talk. HTC clearly suffers from an identity problem from his past as a subcontractor, and an inferiority complex against the Korean chaebols and Japanese zaibatsu. Unable to compete in terms of brand image with customers and their competitors, it is also consistently opposed to the major Asian groups who have settled permanently in the U.S. and European markets. He is now isolated, and struggling to be heard despite some interesting proposals. Conversely, Sony and Samsung in particular, who develop integrated ecosystem and leverage their strong brand image, are much more audible than HTC, without being fundamentally better. At Mobile World Congress, Sony did not show that its new Xperia range - the Japanese manufacturer had its range Xperia communicating with his tablets, the PS Vita, Bravia TVs, and computers of the brand. The acquisition by Sony Ericsson's share in their joint venture is part of a systematic development of an integrated ecosystem: Sony now sells devices that are essential smartphones and tablets under its own brand. These devices have access to the PlayStation Suite, another key brand of, and access the same content offerings as consoles, TVs and computers in society. There are logos Bravia (screens) and Exmor (photo sensors) on all brand products or almost. Equivalent Korean Sony, Samsung has not yet closed its ecosystem as well, but his strategy follows the same logic. Its smartphones and tablets are equipped with the same system and share the same name: Galaxy for standard models, Galaxy Note for models pen. These devices are starting to communicate with the brand televisions, but also with its computers through Kies, a sort of iTunes. It is nevertheless not a piece to the puzzle of Samsung, the supply of content ... which currently prevents it from being the second largest manufacturer of phones with a flawless picture and a strategy of market saturation. Microsoft itself has reinvented not following the model of traditional players in the phone, but walking in the footsteps of new entrants. The Xbox has enabled it to get a place in the living room, under TVs from Sony, Samsung and others. It offers Xbox Live interface Metro, access to a catalog of content ... now that is found in Windows Phone 7 and Windows 8 that communicate via the Internet services company. Neither Samsung nor Sony nor Microsoft is actually "new" players of the mobile market, unlike Apple, which has made its entry in 2007. The Cupertino company is certainly one of the first companies to realize the importance of logical ecosystem: iTunes has made the personal computer including the Mac digital hub around which iPod and iPhone and iPad - a digital hub renewed for the next decade by iCloud. iCloud and different Apple stores provide content and services to devices of the brand, while making them communicate seamlessly. With the release of Mountain Lion this summer, a reminder dictated Siri on the iPhone will be found on the Mac, making a note on the Mac can be edited on the iPad, and we can even play against computer tablet. Lacks a fourth screen: to control the living room, Apple should it launch its television or the current concept of Apple TV enough? In its promotion of AirPlay video, the Cupertino Company currently displays its set-top box at the foot of an anonymous screen, although recognizing the characteristic features of Vizio. One thing is certain, although we tend to forget: you can not choose a system now over against another, as in the time of the battle between Mac OS and Windows. We choose now an integrated ecosystem and closed, which we can actually go out without changing the entire string: DRMs have disappeared, but the investment in preventing easily change applications platform, and services in the cloud, which contain data that are not portable to the new locks are discouraging any semblance of independence. Today is the market share of the next decade that is played. In this battle looming, manufacturers such as HTC have already lost, and are condemned to play only the role of perennial sting: it is not an equity investment in Beats for audio or a partnership with Dropbox to put a walk in the cloud will change things. The eternal conflict between Apple and Microsoft will flare, with a side iOS, OS X, iTunes and icloud and other Windows Phone, Windows 8, and Xbox Live. Remains the place of other Android manufacturers like Sony and Samsung, those who control much of an ecosystem, but can not completely close it, because it uses Android Sony, Samsung for the same reason, but also because it still does not integrate its own services: at the end of this decade, the choice of the Google OS will have been there a chance? Or will he was a Trojan horse to ultimately triumph over the supply of services and advertisements of the Mountain View Company, leaving only ruins behind him?